Natural phenomena are frequently suggestive, and relate to our experiences. Fascinating examples of this can be found in Natural Phenomena , where two examples of Fertility Shrines based on natural phenomena are displayed. 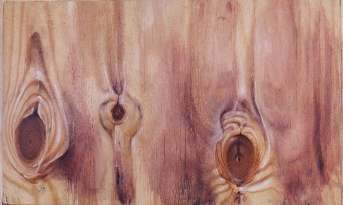 Similarly, natural objects, such as knots in wood, can be meditatively enhanced. For Example see the work done with simple plywood panels !